Fried food is healthy when you use coconut oil and you make this healthy fried plantain dessert. 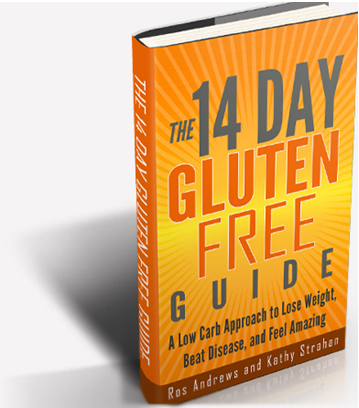 As you know I love finding delicious, healthy gluten-free desserts for you! Of course, junk was an obvious play on words. I promise you that the “junk food” I showed you was very good for you – but generally misunderstood! Plantains are in the banana family, but they are bigger — and they must be cooked never eaten raw. The hardest part of this recipe is the waiting time for the plantains to ripen. So, plan ahead. If you’re willing to be patient and wait, plantains will eventually ripen and take on a sweeter flavor. The plantains I used had been sitting on my kitchen counter for almost 2 weeks. This is a very simple preparation, but one that’s incredibly tasty. Peel the plantain and slice into ¼” rounds. Heat a skillet over medium-high and add the ghee, butter or coconut oil. 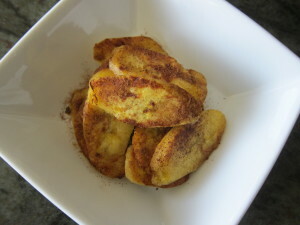 Fry the plantains until golden brown, 2-3 minutes each side. Be careful because they’ll burn easily. Remove from the heat and dust with cinnamon and a sprinkle of sea salt. NOTE: — I like to dip them into some melted 85% chocolate as well. This makes this a yummy, healthy, gluten-free dessert that looks like you spent a long time preparing. Like I said, the bulk of the time is in waiting for the plantains to ripen. FYI, as the plantain ripens, its high starch content changes to sugar and the peel changes to brown or black. But, no worries, the interior color of the fruit remains creamy and white to yellow, and it has a pleasant, sweet flavor and banana aroma. Next time I’ll show you three simple things to do to optimize your health. Don’t you think it’s about time you take your power back and take charge of the health of your body? Do it now while it’s top of mind.